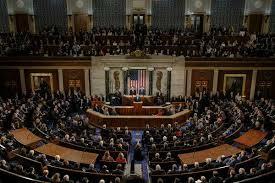 The State of the Union address, mandated by the Constitution, is finally scheduled for next Tuesday. The address will take place during what is apparently going to be a brief reopening of the government. The Congress and the President are still at odds and there is no forward movement on keeping the government open. Divided! I have never seen the country so polarized and divided. The invectives being used daily by both parties are divisive and not conducive to a progressive government devoted to protecting civil liberties and providing for the common defense. The "Wall" is a red herring. Almost everyone wants border security. It is just that the "Wall" has become a rallying cry. I was encouraged yesterday when Customs and Border Security displayed the biggest drug bust in history. Did it come over where the wall would have been? No! It was at a known border crossing. My take? We need to tone down the rhetoric, infighting, and invectives and get to work restoring our country as the shining beacon for the world.